Each Commuter Rail station is located in a fare zone, from 1A-10. Your Commuter Rail fare depends on which zones your boarding and exiting stations are located in. Learn more about Commuter Rail zones to see what your fare might be, or find the cost of your trip with our fare finder. Download our map to see which zone your station is in. 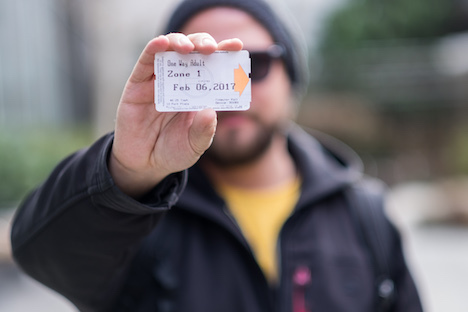 The price of your monthly Commuter Rail pass depends on which zones your boarding and exiting stations are located in. Tip! 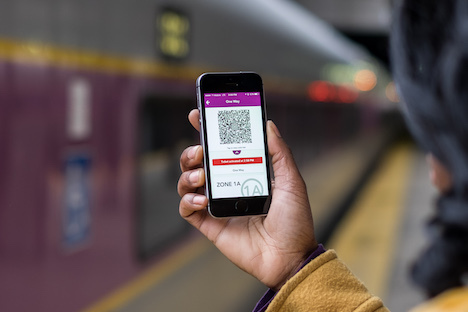 Reduced monthly Commuter Rail passes are not available, but reduced 10-ride passes are available at fare vending machines, at ticket windows, and from mTicket. Order monthly Commuter Rail passes online. Conductors will check your ticket or pass after you board the train. Tip! During Fare Is Fair events, your ticket will be checked before you board. One-way, round trip, 10-ride, and monthly Commuter Rail passes for all zones are available on the mTicket App. One-way, round trip, and monthly Commuter Rail passes up to Zone 8* are available at fare vending machines, which are located at all subway stations and the Lynn and Worcester/Union Commuter Rail stations. *Interzone tickets and passes are not available from fare vending machines. You can order monthly Commuter Rail passes for all zones online. Passes will be mailed to you. You can purchase one-way, round trip, and monthly Commuter Rail passes up to Zone 8 at retail stores around Greater Boston and Providence. The conductor will verify your fare payment after you board the train. The only exception to this is during Fare Is Fair events, when they will check your ticket before you board. The conductor may tuck a small piece of paper on the seat back in front of you to indicate that you paid your fare. Show your ticket or pass to the conductor. Activate the ticket you would like to use. Show it to the conductor for verification. Tell the conductor you would like to pay in cash or with a credit card. They will ask you where you are going, and if you’d like a one-way or round-trip ticket. Pay the conductor. Keep in mind this may include a $3 fee if you boarded at a station where you could have purchased a ticket at a fare vending machine or ticket window. The conductor will give you a paper ticket with your origin and destination listed on it. If you’re going round trip, keep this ticket for your return. Please note that this option is not available during Fare Is Fair events. Some customers are eligible for reduced fares or can ride the MBTA for free.